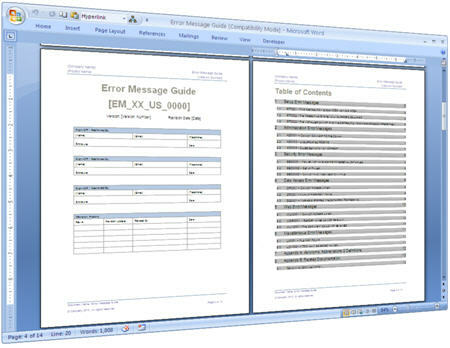 You can use this MS Word template as a guide for writing your own Error Guide and technical documentation. Delete any sections that do not fit your topics; add sections where needed. 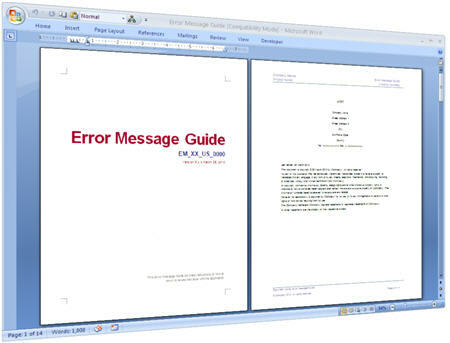 This Error Messages Guide is also part of the Technical Writing Template Pack. 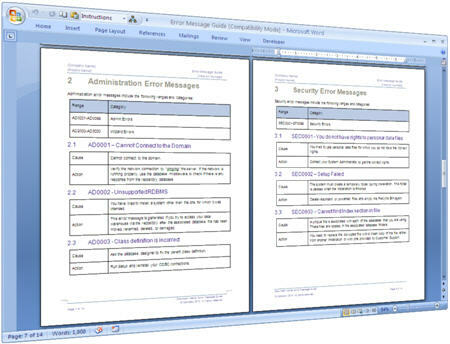 The Technical Writing templates pack includes the following documents. 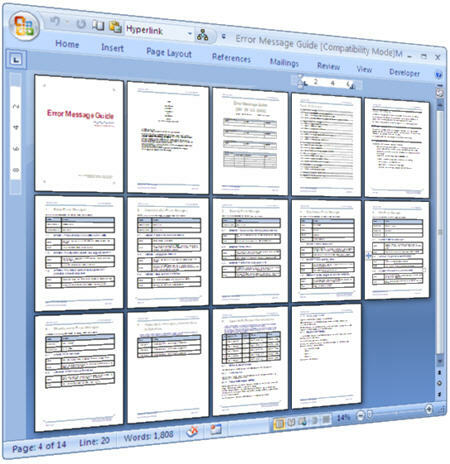 The Technical Writing templates pack includes these 15 documents.